I have one ethernet cable that runs into my TV cabinet. It comes from a router in my closet. 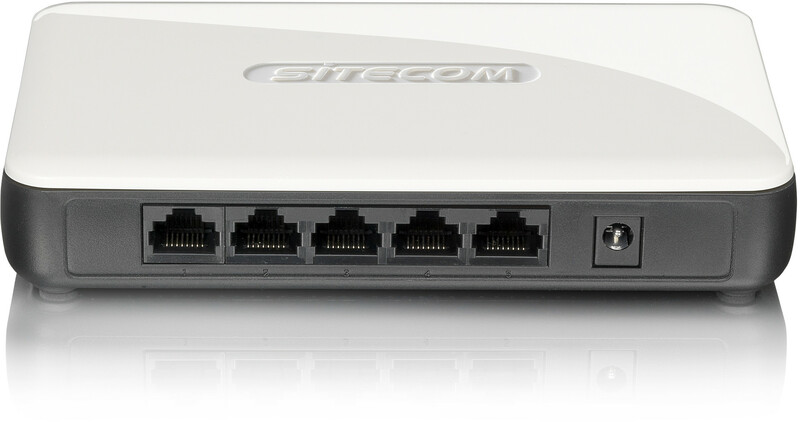 The router splits the main feed into the home into six runs that run through out the house. I now have several components in my TV cabinet that work best if they are connected to a hard line and not WiFi. Can I split the one cable in my TV cabinet into three or four lines to run to these other components, i.e. : playstation, Receiver,TV antenna box etc. If so, what items do I need to purchase? Thanks for your help. Just plug the cable that you already have into one port and connect the rest of devices to other ports using regular Ethernet cables. Switches are the most common and most reliable solution to this problem. Some time ago network hubs were used too, but switches generate less unnecessary network traffic and split network into more segments, which makes it less likely to become saturated. Ethernet over CAT5 cables (those with the RJ45-plugs) need at least 4 of 8wires. Most network cables sold nowadays usually incorporate the full 8 wires. So in theory you could split your cable to make it be 2 connections to your router. I don't know what kind of cable you're using currently (does it go into a wall socket at each end or is it just a ready-to-use cable, and you would have to cut it open?). Anyway, the better solution (and probably even cheaper, except for long-term electricity costs) is to just use a switch. Plug that into the cable at the TV-cabinet and then connect your devices from there. Also, if you'd split the cable, it might cause interference and lower the bandwith, while with the switch solution you'll be able to get 1 GBit/s combined. Should be enough for your TV-devices. Why does just splitting an Ethernet cable not work? Why won't a 150 foot cat 5e cable run acquire an IP from my router? Should I connect my laptop through an ethernet cable instead of wifi? Using ethernet cable (Cat 6) with phone jack? How does ethernet, coax, and telephone surge protection work? How can I get everything off the wifi?